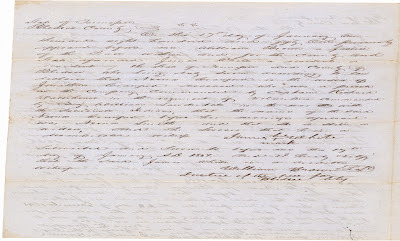 Thoughts from Polly's Granddaughter: The Warren/Boraker Families - Are They Really Related? The Warren/Boraker Families - Are They Really Related? 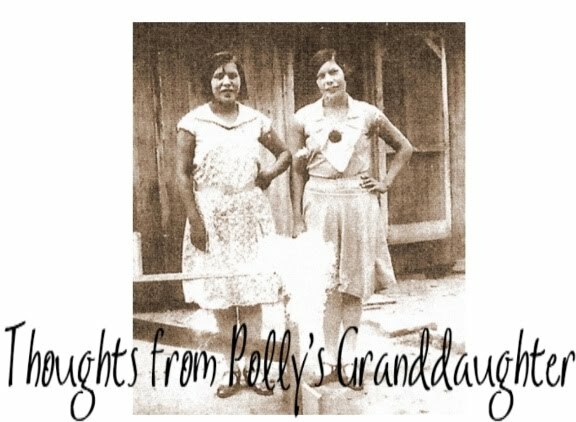 "Robert C. Boraker, a retired journalist and amateur genealogist who said he is Warren’s fourth cousin — their great-great-grandfathers were brothers — said his father often told him that his grandmother, a Crawford, was one-eighth Indian. “It was Cherokee blood,” said Boraker, who lives in St. Albans, England, and publishes a family newsletter that includes the Crawford line. “There was no documentation, but it was what we knew, what we were told.” "
What they fail to mention is this Boraker is the Boraker who was responsible for the newsletter that put out false information about "the marriage license" and confused people into believing Elizabeth Warren's direct line ancestors had a relative that listed his mother as Cherokee on that marriage license. This information was shown to be false and the Boston Globe had to issue a retraction on their story about this. Yet, once again, the Globe uses information from this source to try to show Elizabeth Warren might be Cherokee. You would think they might be more cautious the second time around. I guess not. The connections between the Boraker family and Warren's family cannot be shown through documentation. 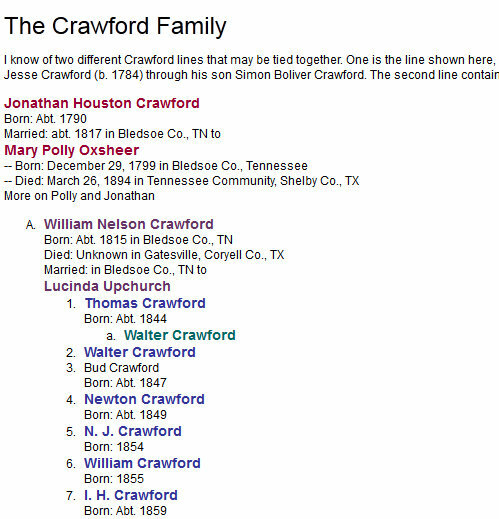 There is NO known documentation to show who the parents of Warren's great great grandfather, Preston Crawford, were. NONE. 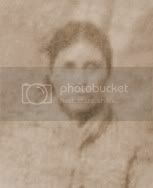 The media has gone wild with the stories of "OC Sarah Smith" and repeatedly claimed this is Warren's third great grandmother.Where does this information come from? Apparently, once again, the Boraker family newsletter and its source, Lynda Smith. Let's be VERY clear about something. The team and I have NEVER found any documentation on a woman named "OC Sarah Smith." 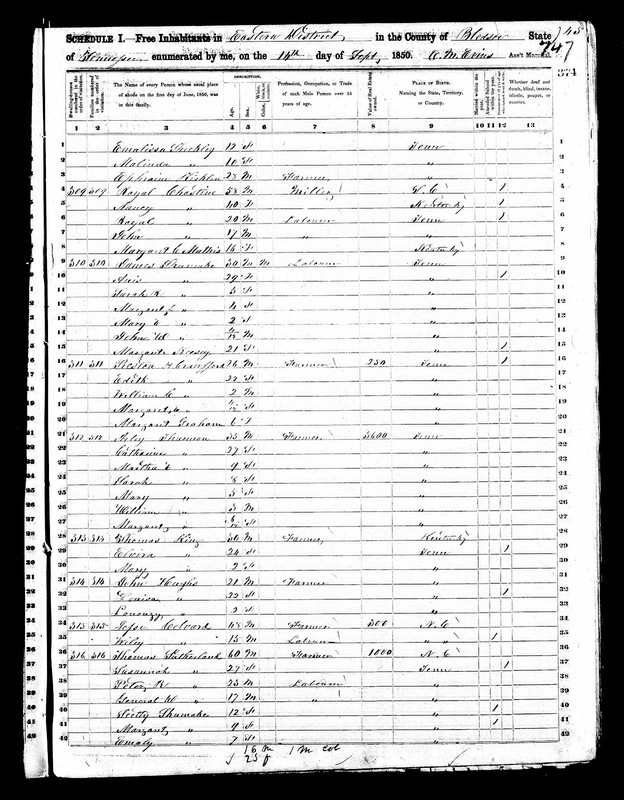 We can show that a man named William J. Crawford listed his mother as "OC Smith." We can show that a man named Jonathon Crawford from Bledsoe Co, Tennessee was married to a woman named Neona Smith. 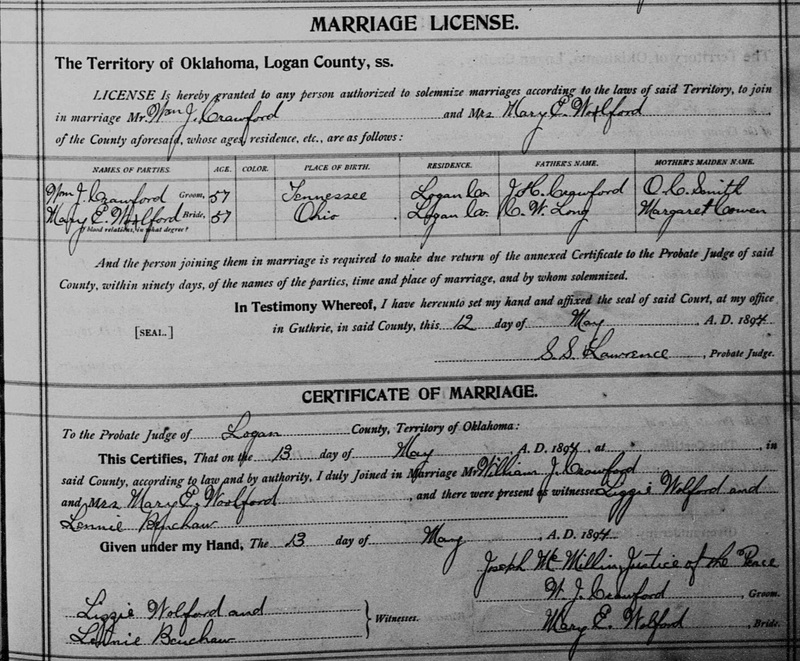 We can show that a man named John H. Crawford from Roane County, Tennessee was married to a woman named Rebecca. 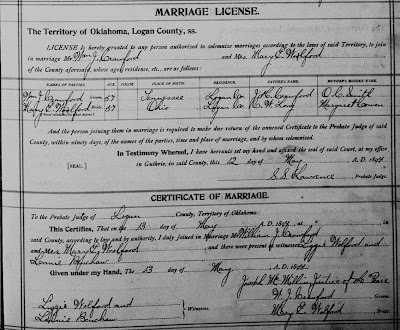 Heck, we can even show there was purportedly a man named John H. Crawford from Bledsoe County, Tennessee married to a woman named Mary Polly. These men all lived at the same time in Tennessee and were relatively close to the same age. We never find any of them married to a woman named Sarah. 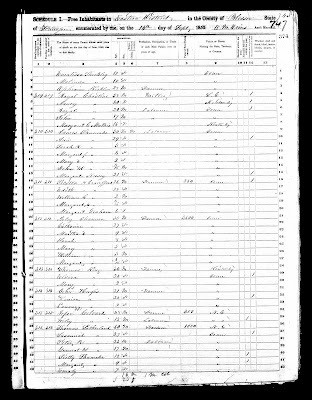 "The Crawford descendents at the 1951 meeting have her name as Sarah due to the marriage record of William J. Crawford who said that his mother's maiden name was O. C. Sarah Smith." "In any event there's much speculation due to the lack of records." We all know the marriage license does not say "OC Sarah Smith." And Lynda Smith admits there is lots of speculation. But the media has grabbed this name and run with it. 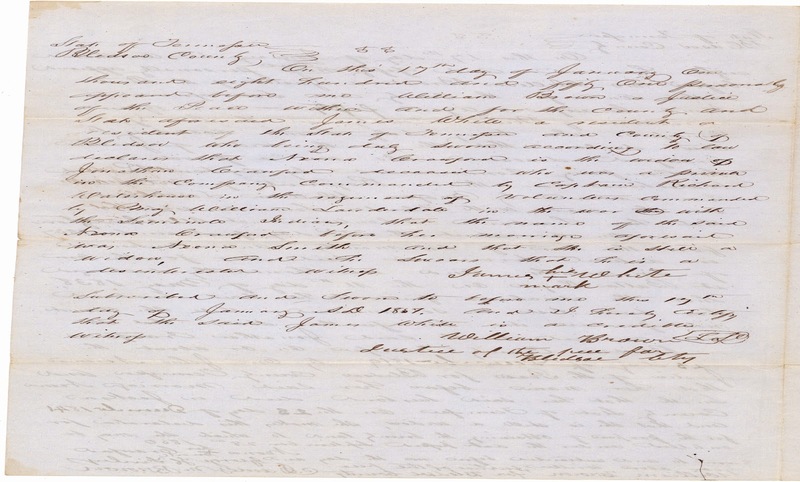 "There are very few documents that survived the courthouse fire in Bledsoe Co. Tn. So no there isn't a document that would link Preston to Jonathan and Neoma/Sarah." "Those that need a document are not likely to find it." If no document is likely to be found link Preston Crawford to his parents, whoever they were, then how can Robert C. Boraker claim to be Elizabeth Warren's fourth cousin since he claims to descend from the parents of Preston Crawford? He can't, at least not with any degree of genealogical certainty. Anything he said about HIS family lore or legend, as mythological as I think that is as well, has no bearing on the ancestry or genealogy of Elizabeth Warren. It is just another example of the smoke and mirrors trick the media is using to confuse the public about Elizabeth Warren and her claim of being Cherokee.